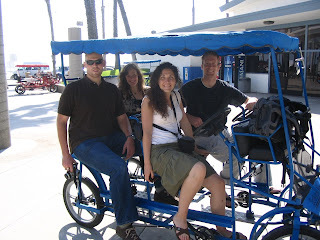 Joshua, Melissa, Jeff and I rented a bike that we could all peddle along the beach. No car crashes but we did have a crazy encounter with a local hippy who had a little to much to drink!! Darren was teasing Aleen that she was going to get dropped into the ocean. 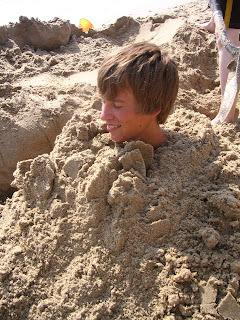 We buried Quentin while he was kneeling down. 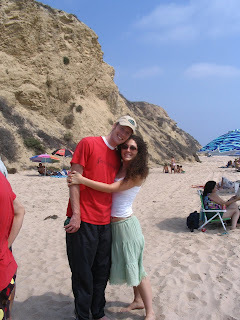 Jeff and I at the beach. 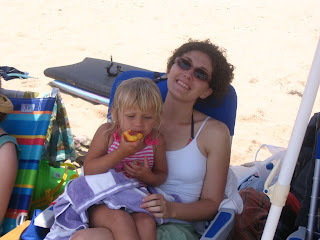 Laney and I relaxing at the beach. 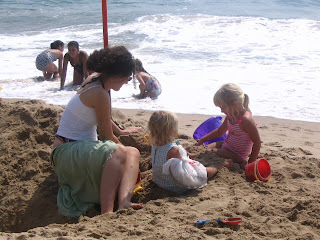 It is always so fun to hand out with my little nieces!